Love this YOUNG VERSACE Boys Black MEDUSA T-Shirt & Girls White Greek Fret Sweatshirt for Fall Winter 2018-19. Super Cool Streetwear Look for Boys inspired by the Versace Adult Collection. He’ll look so cool wearing this comfortable black cotton jersey T-shirt by luxury brand Young Versace. Combining the iconic Medusa head on a chain, with a fun contemporary neon-colored logo print. Looks perfect with a pair of black jeans and Versace Medusa logo black high tops. 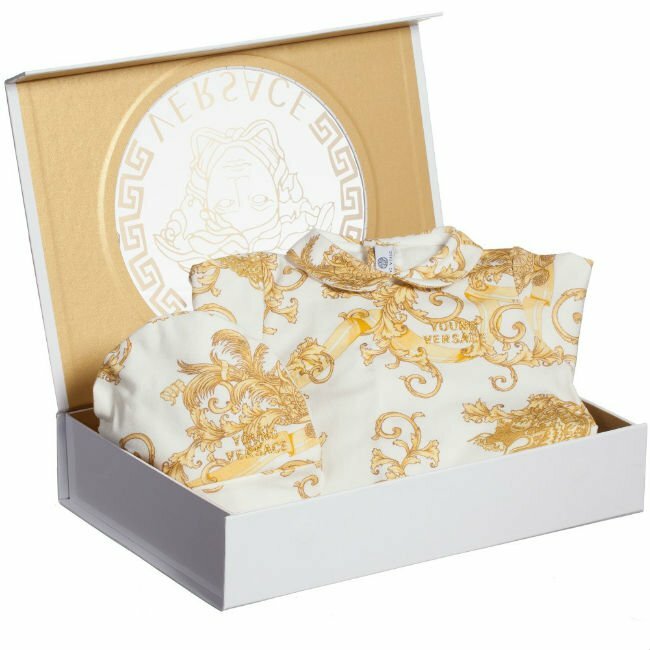 For girls, I love this YOUNG VERSACE White GREEK FRET Sweatshirt made in Ivory soft cotton jersey with a gold and black Greek fret and ‘Cup of the Gods’ print. Looks perfect with this white and gold baroque pattern skirt. Unfortunately, this YOUNG VERSACE Boys Black MEDUSA T-Shirt & Girls White Greek Fret Sweatshirt is not currently available. 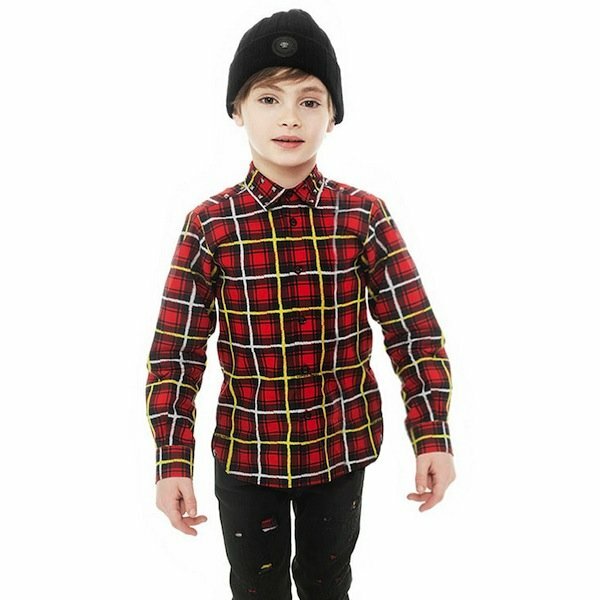 You can shop for similar YOUNG VERSACE kids clothes from the current collection online.